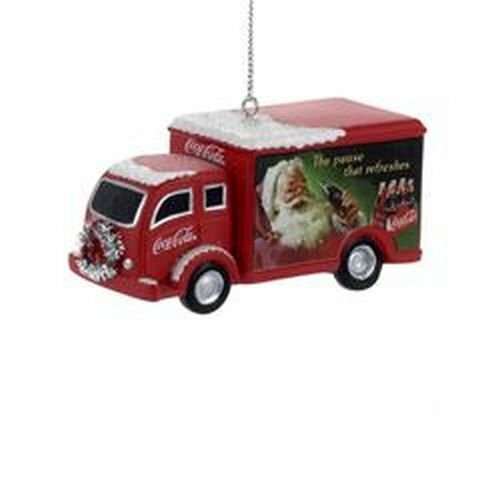 From Kurt Adler, the leader in holiday decorations, comes this nostalgic red Coca-Cola truck ornament with Santa sign on the side last seen in the 1950s. 3.75 inches tall, this traditional resin Coke ornament will bring refreshment to your holiday tree! Classic Christmas Coca-Cola ornaments make great gifts! First edition issued 2011 and retired.